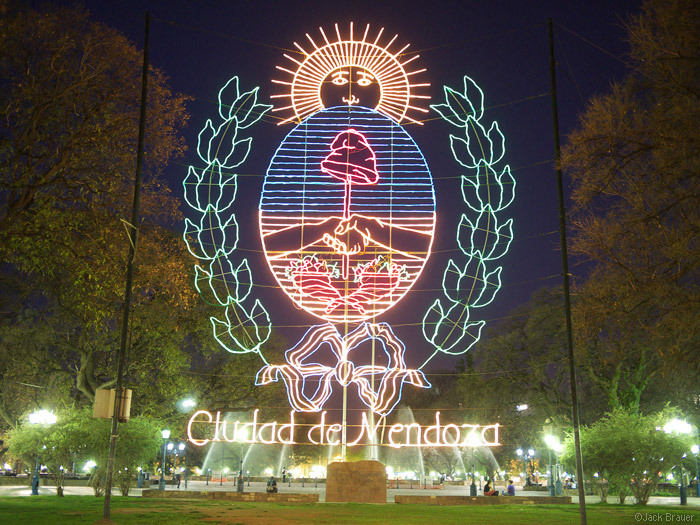 Claudia and I have been hanging out in the city of Mendoza, Argentina this week. 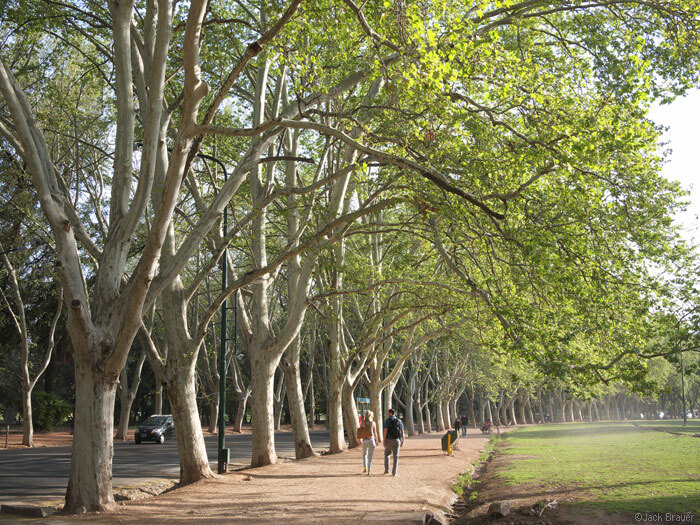 It’s a beautiful city; every street is lined with tall trees that arch over the streets and sidewalks, providing shade in this otherwise hot and sunny region. We haven’t been doing much so far – just walking around a lot, getting the hang of how things work around here, trying to find information about the mountains, and drinking our fair share of Malbec! We haven’t yet done any winery tours, but we’ve found a great little wine tasting bar in Mendoza where we’ll surely be spending some more time. 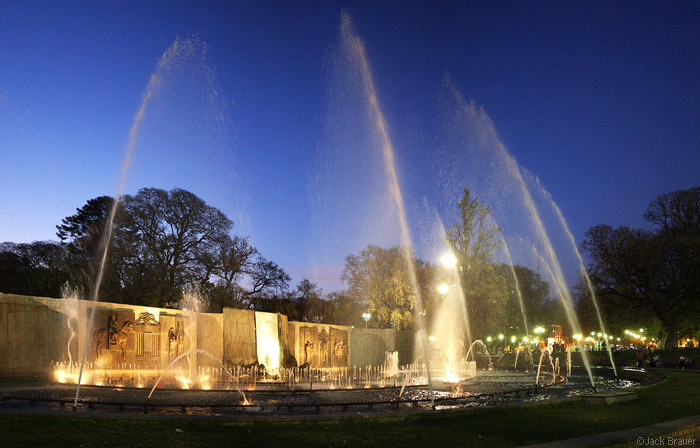 Mendoza has a really nice layout, with the large Plaza Independencia in the center of town, and four smaller plazas a few blocks from each corner. There seems to always be a nice plaza nearby to relax in! My only gripe about the town is the constant traffic – there’s a steady stream of cars zooming around at all hours of the day and night. There’s one pedestrian street through the center of town, with lots of cafes and shops. If I were king I would make four or five of the streets around here pedestrian streets… that would be amazing! Posted in Andes and tagged Andes, Argentina on October 1, 2011 May 19, 2013 by Jack Brauer. What great shots! Can’t wait to see more of your photos during this trip. Congrats on your engagement. You’ve obviously found the perfect person to spend your life with! Hopefully the San Juans will have a good amount of snow when you return home.